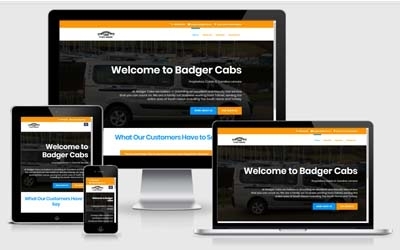 Badger Cabs are a family run business working from Totnes, serving the entire area of South Devon including The South Hams and Torbay. After desigining their original website a few years ago, we decided that it was time for a modern update. The website is not only up-to-date with the latest details but is also easy to navigate and mobile and tablet friendly.